The back stretches are one of the best ways which can help you in relieving stress. If you perform regular stretching exercises then the blood circulation increases. This increase in the blood circulation can help you in relieving the pain and in healing you from your injury. 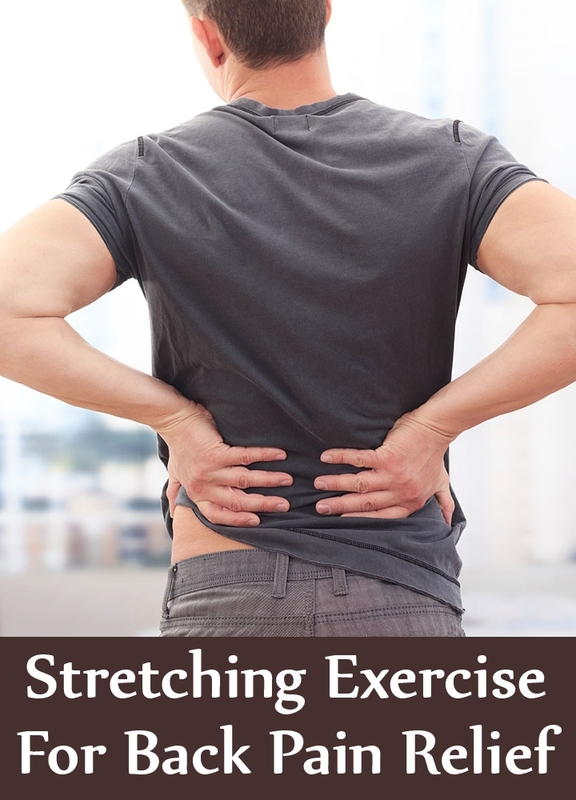 You must pay your chiropractor a regular visit while you perform these stretching exercises. You must make sure that you do not stretch yourself to an extent that you increase your injury. You can practice to stand in a proper standing posture in front of a mirror. You must try to stand with your toes in front and your feet width apart. Try to straighten your back, neck and head. Once you attain the following, standing position as mentioned above, and then you can carry out this stretching exercise. Lift your arms up in the air. Make sure that while you lift your arms up in the air, then you align your upper arms with your ears. Imagine as if strings attached to each of your fingertips are pulling your body upwards. Lower your arms till the time your palms face down hold your hands for at least 5 seconds. These exercises can be done while being seated. These exercises are best if performed in a standing position. Start with your arms around your sides and stand in a proper standing position. Lift your right arm and your palm facing down. While doing so you need to bend your waist a little without twisting your waist. Now repeat the same with your left hand. Use a pillow on your back while performing this exercise. Try to bring both knees to your chest area. Cover the knees with your arms. Now try to move your lower portion of the body to one side while your back touches the floor. Continue doing the same by moving your lower body to the other side. After performing this exercise, come back to the normal lying position. Doing a stretching exercise can help and benefit your soft tissues, ligaments and muscles in the best possible way. Limitation in the movement of muscles and ligaments can increase the back pain. So it is necessary that you do these stretches to keep maintain the flexibility in your body. You must try to understand that these exercises would not do anything magical. These exercises require your patience and determination. If you follow these exercises on a regular basis, then you can probably find relief from the back pain. You need to keep a few things in mind while starting with the stretching exercises. You should not force your body to perform the stretching exercises, you should increase the repetitions gradually, you should perform the stretching exercises on a flat surface and you should avoid stretching for long so that your muscles or joints become loose.